This was probably our peak moment of anticipation, not knowing how E would do on the 5 hour flight to Honolulu after a short night of sleep. How to survive (and even enjoy!) toddler travel is a hot topic. I don’t pretend to have all the answers, but I’ll admit I was pretty nervous about traveling with 16-month-old E this summer. Below is what worked best for us, (a big thank you to everyone who shared ideas!). 1. Don’t count on technology to do the trick. While downloaded television shows and apps saved us a couple times on the road, they were worthless on the airplane. Having a back-up plan was key. 2. Busy bags are amazing. 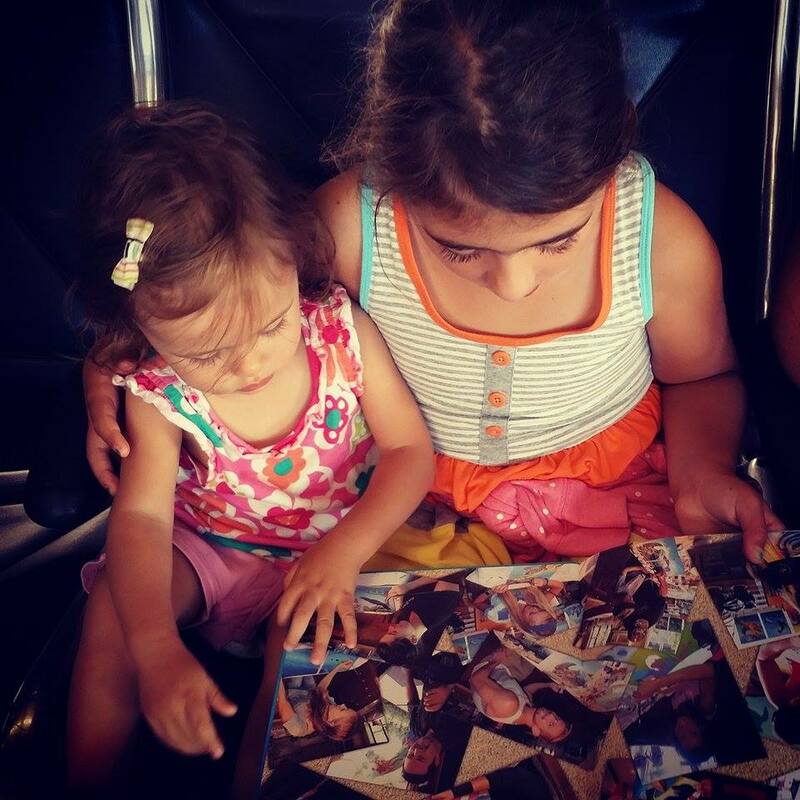 They may be filled with simple-seeming items, but wrapped presents doled out strategically throughout our flights really helped to keep E occupied. Look for an entire post devoted to busy bags later this month. 3. Naps matter, but not always. I was paranoid lost sleep would make for terrible travel days, but I was wrong. She did fine on (much) abbreviated sleep. As long as I balanced it with chances to sleep on other days, she really hung in there and did an excellent job. We just made a point to give her as much time as she needed on non-travel days, especially when she started to show signs of exhaustion. Hip-hip-hooray for busy bags filled with wrapped goodies! 4. STICKERS. Back to the idea of a busy bag, stickers stopped a lot of fits. All I had to do was offer her one before she got too wound up. In fact, stickers might be the best thing ever. 5. Double check your luggage before you leave. Toddlers like to move things to obscure places, like leaving behind much-needed shoes under beds. 6. Thrift stores can be lifesavers when you need to replace lost items, (like those pesky missing shoes!). A lot of towns have really cute second hand shops devoted specifically to kids stuff, which can be fun to browse. They’re also great for picking up used toys for cheap entertainment in otherwise sparse rental homes and hotel rooms. 7. Bring a set of extra clothes everywhere you go. The potential for food, bodily fluid, and/or excrement messes is high! Plastic bags to store soiled items are definitely helpful. 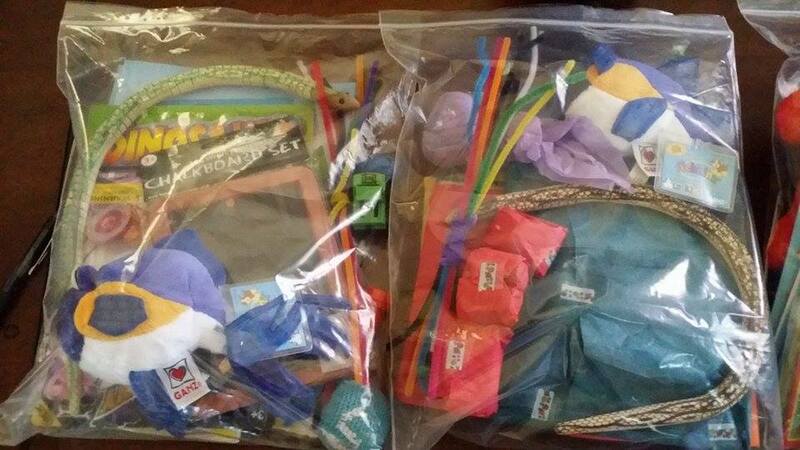 I made a point to organize everything in my diaper bag in different zip-lock bags. This allowed me to find what I needed quickly and prevented spills from ruining everything. An unexpected perk was the benefit of traveling with cousins. We couldn’t help but joke about finding E an older sibling instead of a younger one. 8. Umbrella strollers rock. I was tempted to use our baby carrier and ditch the stroller but a friend offered to let us borrow her super compact umbrella stroller. While the carrier was great for going through security without having to chase E around, it saved us a lot of back ache to also have a compact stroller to check at the gate. As a bonus, she enjoyed pushing it around the terminal while we waited for our flight. It also fit easily in the car with all of our luggage, which is great because our regular stroller would’ve been much too big. On a side note, I discovered hiking strollers can be rented for reasonable fees and are delivered straight to your hotel room, so lugging around an enormous stroller isn’t necessary if you’re tight on space. 9. Airlines might pleasantly surprise you. Hawaiian gave us an open seat for E even though we didn’t purchase one for her, (and I’ve heard many moms say the same thing). The extra space was great, especially since it was free. However, it also made me realize her own seat was nice but unnecessary. We shared a seat on the way home and we both did fine. While I understand the car seat safety concern, I also know E would be a screaming mess if I insisted on strapping her into her seat during a flight. I considered the risk of her getting hurt pretty low, although I know this is a hot topic in mom groups. 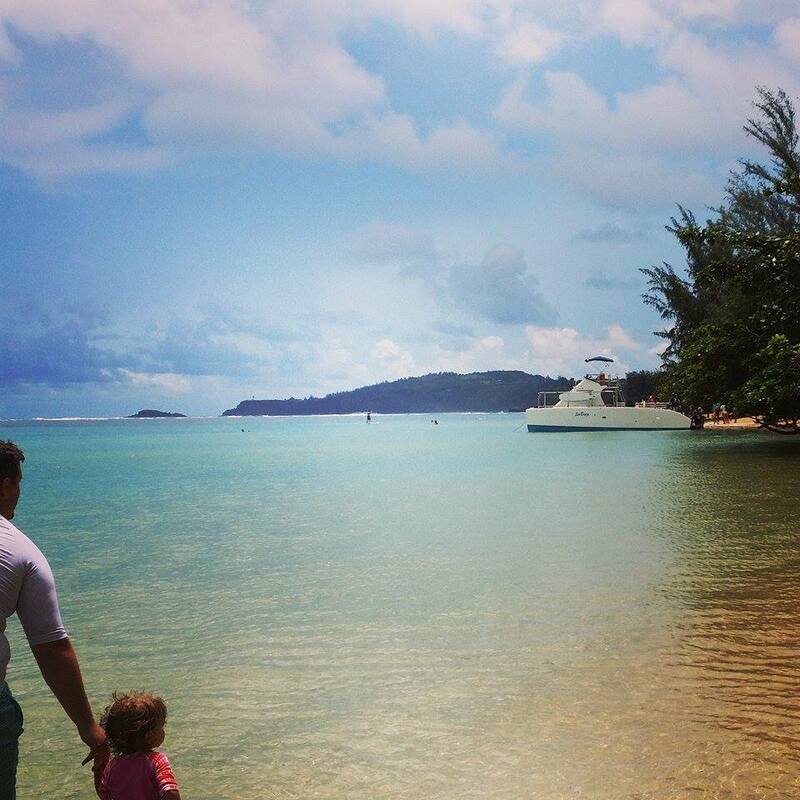 Hawaii ended up being a pretty ideal place to take a toddler. Not surprisingly, “beach” is her new favorite word. 10. Accept things will be different than your pre-toddler days. I was able to fit in most of the activities I love, but for smaller chunks of time. Instead of being bummed I didn’t have hours to snorkel, read books or lie in the sun, I really made the most of the little stretches of time she gave me to relax. Same goes for restaurants, site seeing, etc. Roll with it while it works and move on when it doesn’t. The joy in seeing her explore her new surroundings helped to offset the lack of down time and regular naps gave us the opportunity to recharge while enjoying the view. 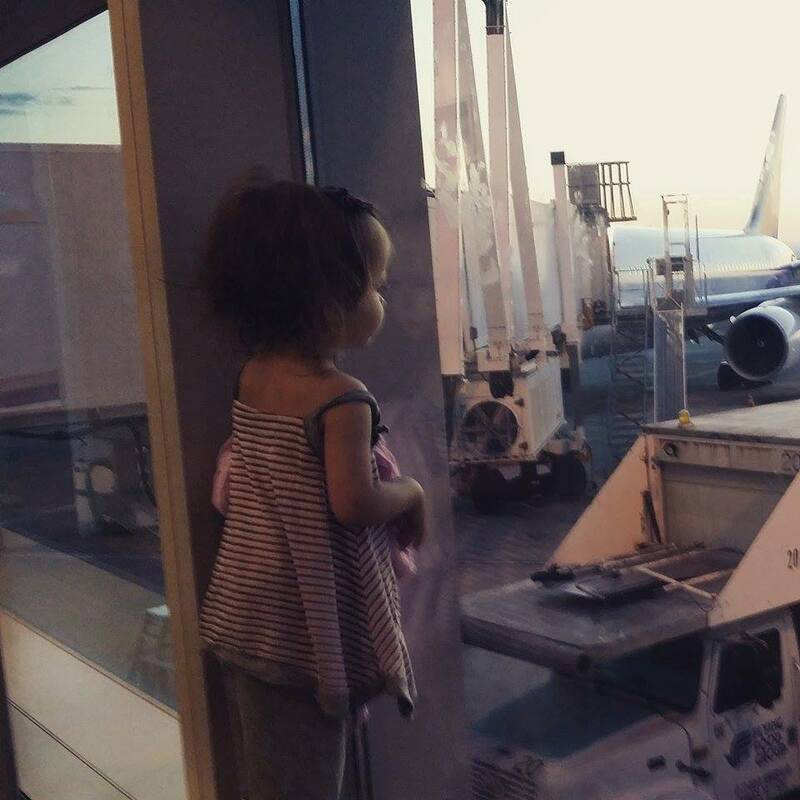 Over all, traveling with a toddler was much more enjoyable than I expected. Have tips I missed? Please share as I’m certain we’ll have many more adventures to come.